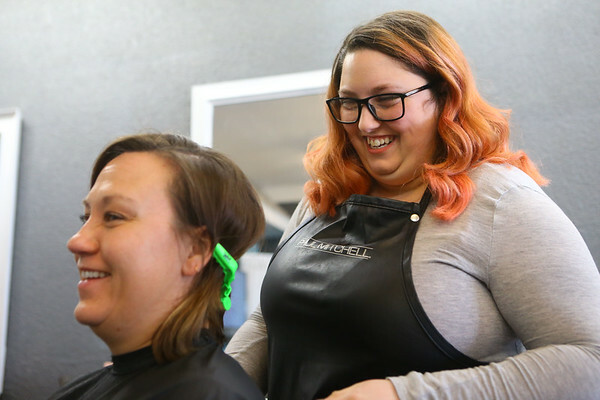 Rebeckah Reichert chats with her cleint Sharon Breitenbach as she begins working with her hair on March 26, 2019. Reichert, who was recently hired by Terrie and Co. Salon in Peru, is 80 percent deaf and fluent in American Sign Language.